WOUNDED CAT: Cory Gregson will miss the remainder of the season with a stress fracture. With just six games left in the home and away season, tomorrow night’s potentially epic encounter between Geelong and Melbourne shapes as season-defining in every way. The winner will still cling to hopes of making the top four while the loser will be locked in a battle just to make the finals. The Demons are sixth on the ladder and a game outside the top four but have second-best percentage in the competition, which could prove vital come the end of round 23. The Cats are in eighth spot, with just percentage separating them from North Melbourne and Hawthorn. The Roos and the Hawks did Geelong a huge favour last weekend by losing their games, otherwise Geelong would have found itself in 10th position. Cat Cory Gregson will miss the remainder of the season after suffering a recurrence of a stress fracture to his navicular while exciting youngster Nakia Cockatoo suffered a PCL injury early in Sunday’s VFL game. 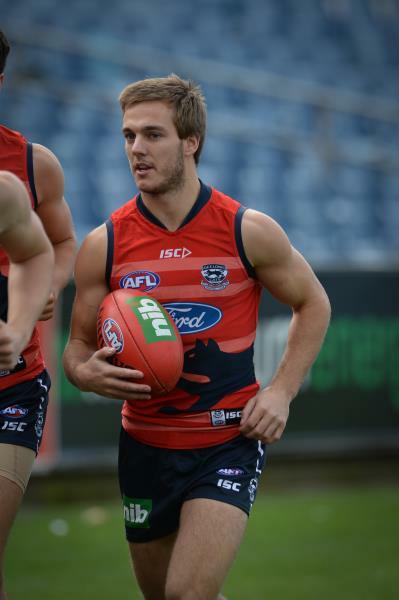 Demon co-captain Jack Viney will miss a month of footy after a foot injury flared up for the second time this season. While a loss tomorrow night would severely dent Geelong’s premiership aspirations, the Cats have a relatively comfortable run home. While nothing is a certainty, the Cats have three GMHBA Stadium games against Brisbane, Fremantle and Gold Coast in what should be wins. Richmond at the MCG presents perhaps the toughest challenge in footy while Hawthorn at the MCG is always a 50/50. Melbourne is averaging a whopping 105 points per game, but Geelong has conceded an average of 56 points from five games at GMHBA Stadium. Since 2015, Geelong has won just once in 18 attempts when its opposition has scored 100 points or more. The Dees are number one in the comp for contested marks while Geelong is third. Rhys Stanley faces his biggest test when he comes up against the AFL’s best ruckman in Max Gawn. Gawn said his side would like a big scalp in the lead up to the finals. “We don’t think we need a big scalp to call ourselves a good team,” he said. Gawn missed a sitter in the final seconds to deny Melbourne a victory against Geelong earlier in the season. “I’m more than happy to be involved in the same situation again. I don’t know how I would react on the Monday if it doesn’t go my way again, but we’re pretty excited to face Geelong,“ Gawn said. Geelong has an edge in the midfield with Joel Selwood, Patrick Dangerfield, Mitch Duncan, Gary Ablett and Tim Kelly, but Melbourne also has Clayton Oliver and Angus Brayshaw in superb form. Tomorrow night’s game is at GMHBA Stadium and starts at 7.25pm.